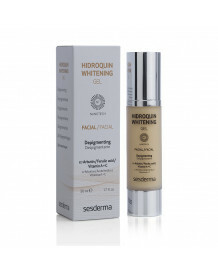 Hidroquin clarifies spots of different origin (solar, pregnancy, melasma, aging or freckles) and prevents the appearance of new hyperpigmentation. It unifies the tone of the skin. 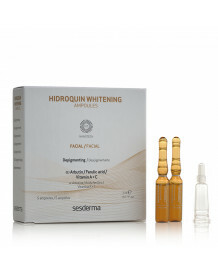 Exfoliating action on the skin and prevents skin inflammation that can lead to the formation of new hyperpigmentation.